The authors of this long-overdue book offer a cogent critique of the current body of nursing and research knowledge guided by three basic questions: what constitutes nursing knowledge, how is knowledge acquired and how is nursing knowledge put to use? The book explores the implementation and significance of action research. The introductory chapter presents a sound rationale for an alternative view – action research – firmly rooted in practice and one that advocates neater integration of the two forms of knowing. 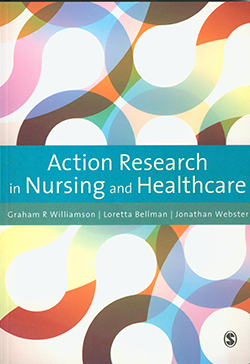 However, the authors warn that action research is not popular with those who continue to believe that nursing should be underpinned by a specific knowledge base produced by the academic elite. The authors bemoan the failure of nurses to argue that practical knowledge is equally important. As they rightly contend, nurses have considerable practical professional knowledge that can contribute to knowledge of the profession and can shape and influence policy debates about the directions nursing should take. The text achieves its aim of helping nurses to research their own practice and learn from the experience by answering how and why practices should be improved and how this may be done effectively. This is a book that every nurse ought to read.